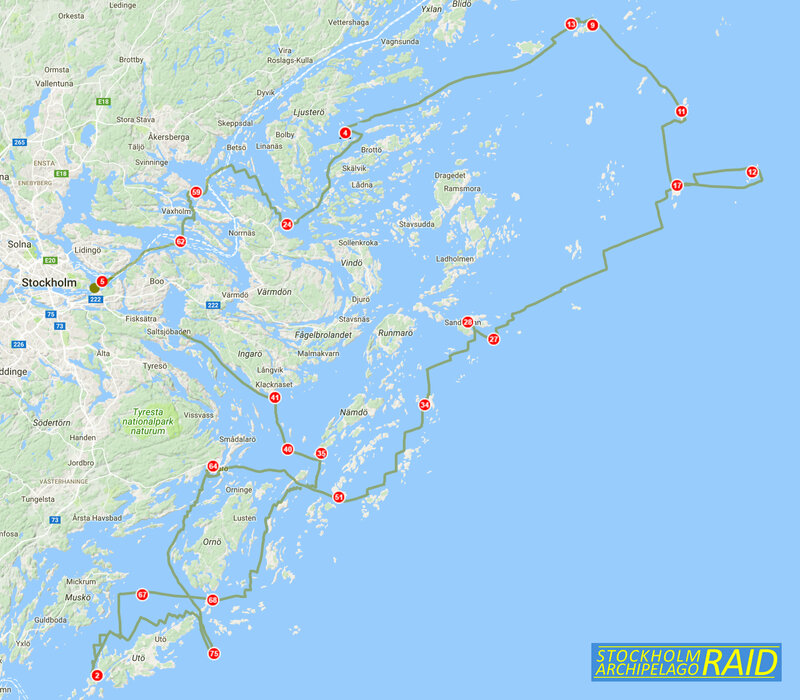 See the Check Points used and sailed track of SWE 2, the winner of the F18 Raid Worlds. 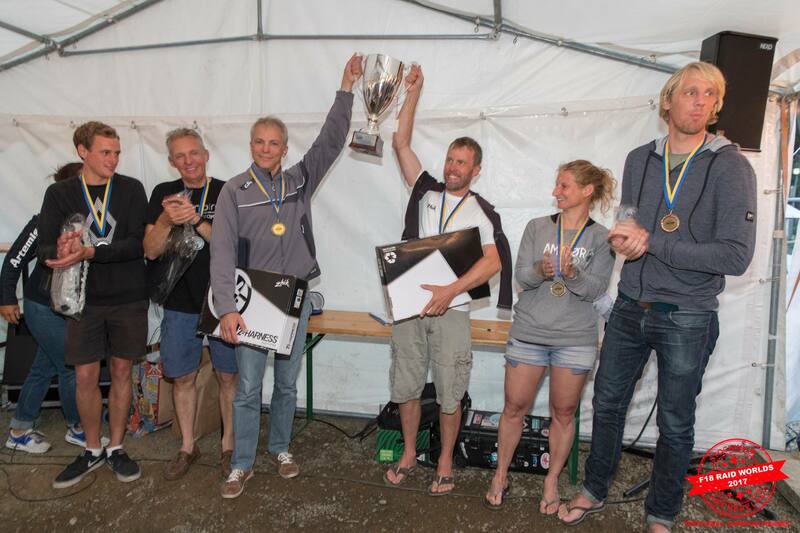 The first F18 Raid Worlds 2017 is over, but the Stockholm Archipelago Raid will be back next year. 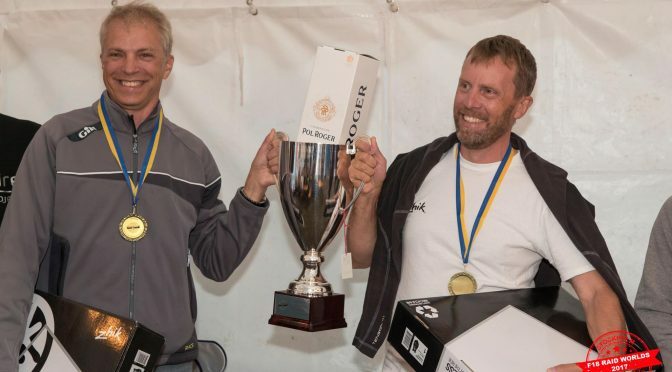 Congratulations to the F18 Raid World Champions, Leff Dahl and Roger Bodén and to William Sunnucks / Freddie White on second and Elke Delnooz / Jeroen van Leeuwen on third (winners of the Mixed class)! And all the other 24 teams who got around the course and gained an experience out of the ordinary. 700+ fantastic pictures by Jasper van Staveren, on Facebook. Big thanks to our partners and sponsors who made it possible, and of course to all volonteers who worked 24/7 and where completely awesome. Tuesday was a day of extremes for the sailors. 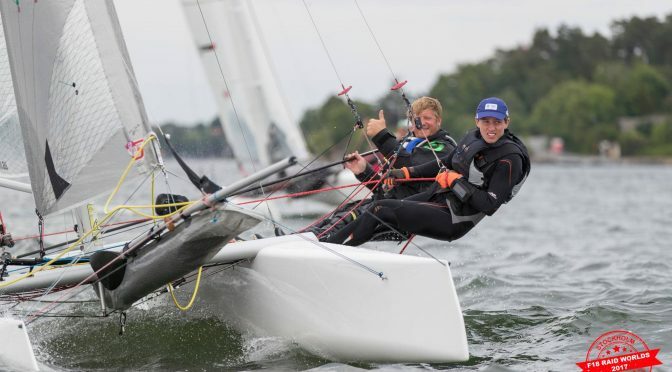 In winds over 20 knots in the open waters of the Baltic Sea they had the time of their lives. The racing started 6 AM to be able to make 3 legs during the day. Leg 1 was epic. It took the fleet from Sandhamn to the rocky, beautyful archipelago of Gillöga and all the way out to Svenska Högarna, the remote island with a light house. It was the first time ever an F18 raid has passed this place. Leg 2 started in increasing winds of 20+ knots and a half wind start. The fleet then set gennaker and was screaming up through Fredlarna before reaching the paradise Rödlöga where the little bakery and café became very busy. Leg 3 was upwind sailing for the first time in two days. Wind now steady 20 knots all the way to the finish line at base camp 3 Nässlingen. See the video from this epic day. Second day started on the beautiful island of Rånö in perfect F18 conditions. It was a full day of down wind and gennaker reaching and some chrashes towards base camp 2 Sandhamn 50 Nm to the north. 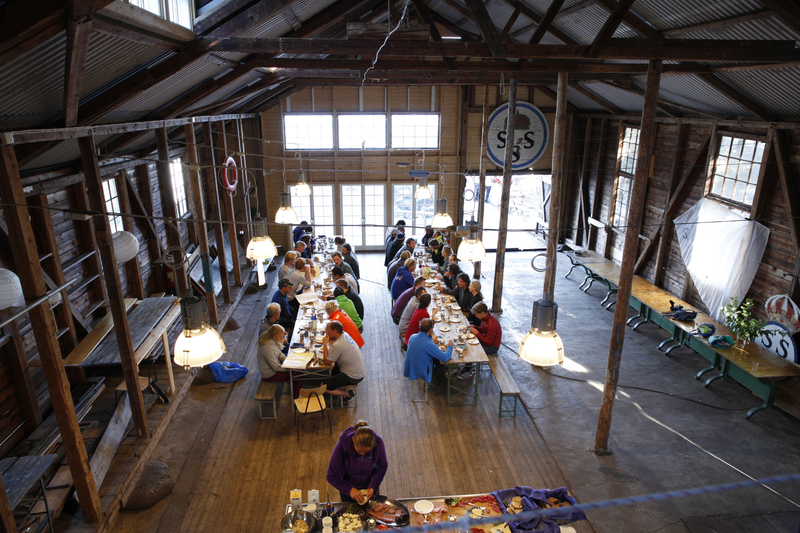 After a morning with good winds the fleet had lunch-stop at Mörtö-Bunsö, refueling for the afternoon. The wind direction offered a up-wind leg and the local weather systems gave all sorts of conditions. Ranging from medium winds and grey clouds to 20 knots of wind and really harsh weather to a sunny finish by our base camp at Rånö. 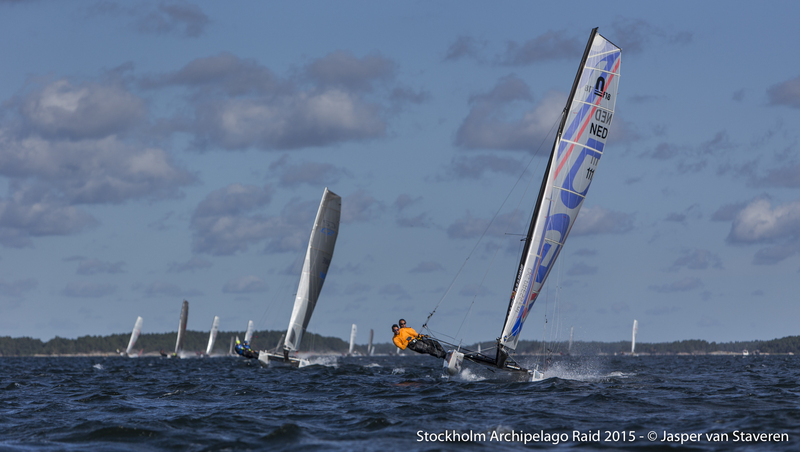 6 days remains until the start of Stockholm Archipelago Raid, which is also the 2017 World Championship for F18 long distance racing (raid). 27 teams from 6 countries have signed up for this adventure that is really tough and demanding. 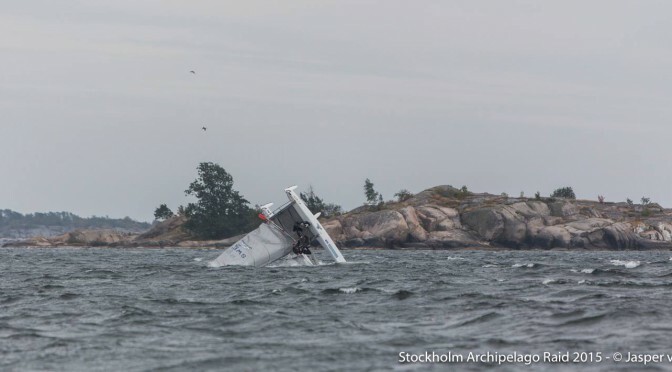 The sailors have to push their boats really hard and at the same time navigate at high speed through the 36 000 islands and rocks of the Stockholm Archipelago to find all Check Points along the course. The starts are scheduled for sunrise when possible, which means about 4.30 AM this time of year. After 2 or 3 legs per day the sailors will reach a base camp that changes every night. Sauna and dinner awaits the sailors as reward for their effort and then some well deserved sleep. This repeats for 4 days until the finish at Fjäderholmarna in central Stockholm on Wednesday the 9th of August between 3 or 4 PM. The race can be followed in real time since the boats are equipped with trackers. Each day a selction of pictures will be released on Facebook and short films will be published on Hamnen.se. A few weeks after the race a program will air on Nautical Channel with a reach to 42 countries around the world. 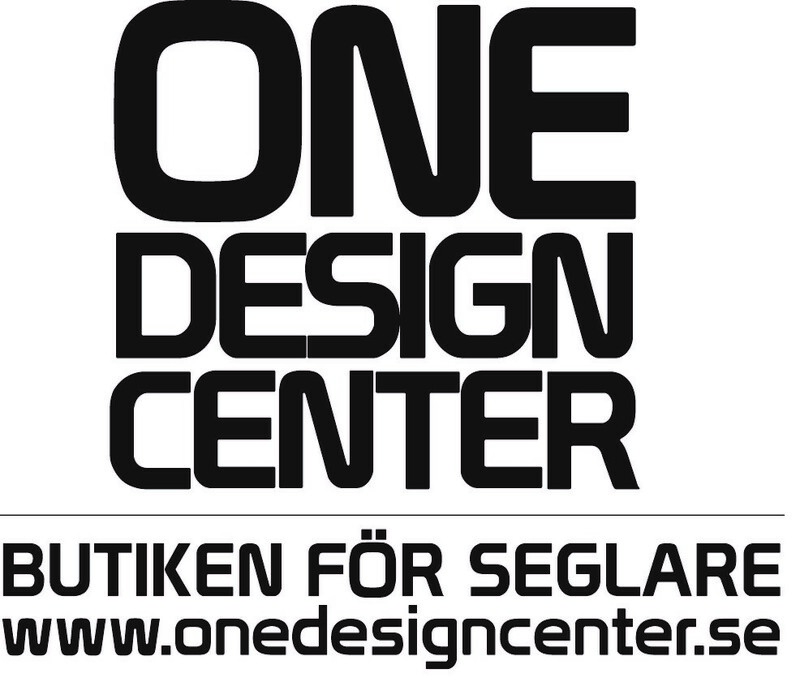 One Design Center, Swedens leading supplier for dingies and catamarans, will be official partner of clothes and equipment for the F18 Raid worlds. 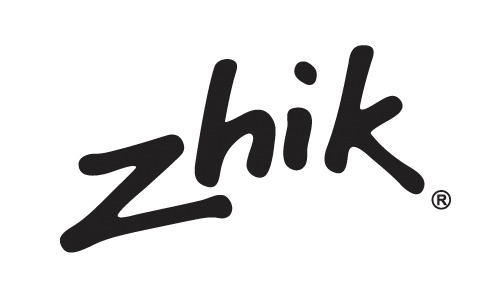 Together with Zhik, the global sailing clothes brand, they will also supply the Official F18 Raid Worlds clothing. 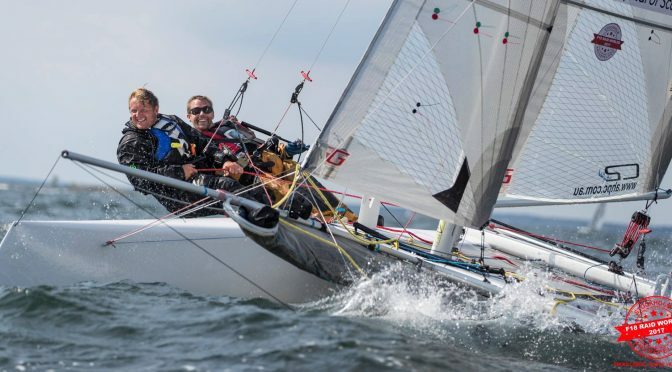 Sailors can also enjoy a great rebate on more or less everything required for the raid, from flares, GPS-armwrist-holder and dry suits to nutrition and energy packs to keep you going when the going gets tough. And the best of all – it will be delivered on-site at Djurgården on the 5th of August, just before start. 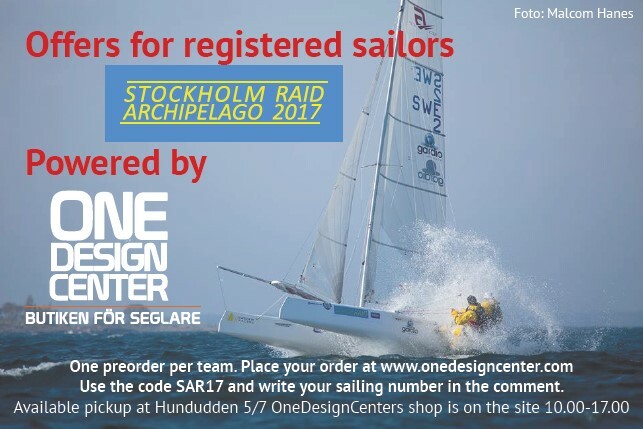 See all detailed Offerings to Raid Worlds sailors 2017 here. Don’t wait too long to stock up, and absolutely not later than 28th of July. Order online and get a very special deal by using the promotion code when ordering. Trackcourse.com has been chosen as provider of live GPS-tracking system for the F18 Raid Worlds. It is truly great to have GPS tracking in a raid among 36 000 islands where the choice of route is equally important as boat speed to get fast to the finish line. 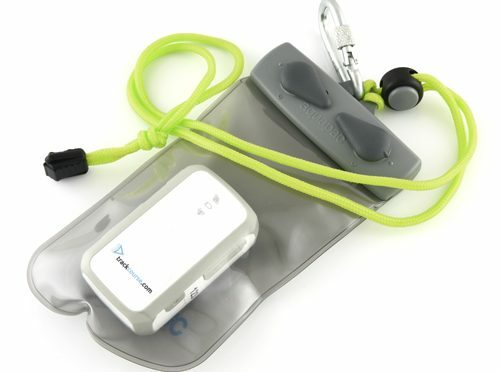 Traccourse use small GPS devices that weigh only 60 grams. The race will be broadcasted on the internet with location of each participant displayed in real time during the competition and of course for later replay. The positions can be displayed on any device and with Google Maps or a sea chart loaded as a background. Friends and other viewers can follow the race in real time. They will know the time and place for each team before they know themselves. 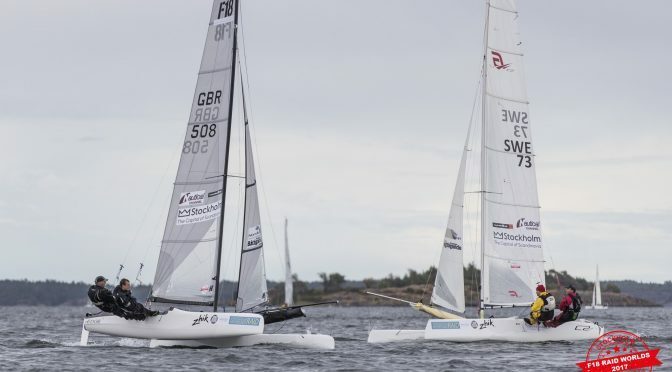 Sailors can replay to analyse route and compare the speed with other teams during the race. It is even possible to download a GPS track of each competitor as GPX file. Film teams can use the replay to visualize how the sailors choose their route between islands and how that effects the result for each leg. We are happy to announce that Nordkapp boats, the leading Norwegian speed boat company, will be the official boat partner for security and media during the F18 Raid Worlds. 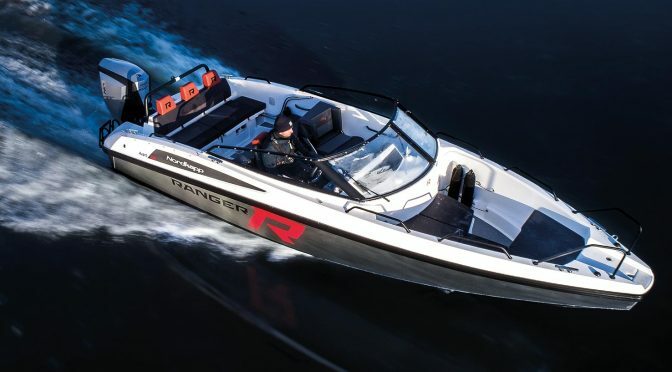 Several boats of different types will be made available, including the robust Nordkapp Enduro 705 Ranger. It is a aluminum and fiberglass hybrid with 300 hp good for over 50 knots. We are very happy to have access to such high end, solid, comfortable and reliable speed boats for some of our staff and media crews. It really makes a difference to have good boats when you are out at sea for 4 days regardless the weater and sea conditions.